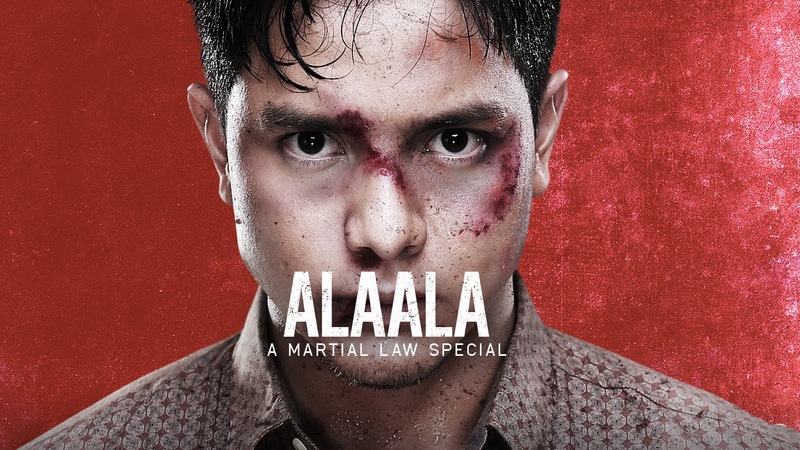 On Sunday, (September 17), Kapuso actor Alden Richards takes on his boldest portrayal yet as he depicts the life story of Martial Law activist and award-winning screenwriter Bonifacio Ilagan in GMA Public Affairs’ Alaala: A Martial Law Special. On the 45th anniversary of President Marcos’ declaration of Martial Law, GMA offers a special documentary that follows the journey of Boni Ilagan. Named after national hero Andres Bonifacio, Boni takes viewers to his experience from his days as an idealistic youth, upon the declaration of Martial Law and his eventual capture and torture under the hands of the Philippine Constabulary. His recollections will be put to life in a short film written by Boni himself. A film within a documentary, GMA Public Affairs’ docu team will shadow the short film’s production, showing behind-the-scenes clips. Interviews from personalities who experienced the Martial Law atrocities first hand, as well as historians, will provide the big picture of how it was during the Martial Law era. King Rodrigo, son of late Senator Soc Rodrigo tells us how they took the parliament to the streets and how the opposition fought against the dictator. JC Mijares-Gurango, grandson of Primitivo Mijares reveals the secrets his lolo discovered as propagandist of the Marcos family. He shares the inner workings of the conjugal dictatorship. Kapuso actor Alden Richards plays the role of the young Boni. Alden shared the challenges of portraying the young Boni. “Physically, psychologically, emotionally, mentally — mahirap ‘yung role. I’ve never been tortured in any of my roles when I was doing projects with soaps and movies,” Alden said. Joining Alden in recreating one of the most tumultuous periods in Philippine history are Gina Alajar, Bianca Umali, and Rocco Nacino. Rocco portrays editor and journalist Pete Lacaba, who, together with Ilagan, also suffered under the hands of the Philippine Constabulary. The Kapuso actor discovered that he was related to the award-winning writer. “[Sir Pete] came to me, saying, ‘Hey you know what I’m your mom’s second cousin.’ So that night halos hindi ako makatulog. Nag-research ako, I called up my mom and then na-confirm na kamag-anak ko pala si Sir Pete. It makes everything more meaningful at mas malalim para sa akin,” Rocco said. Don’t miss GMA Public Affairs’ Alaala: A Martial Law Special this Sunday (Sept. 17) on SNBO.